The fifth Prime Minister of Malaysia, Abdullah Badawi, is also the President of the largest political party of Malaysia, United Malays National Organisation (UMNO). At present, Badawi is facing a political crisis from the onslaught of the opposition who has gained much ground by taking the richest and the most important states. To sprinkle salt on the injury it is thelawmakers from his own side who are questioning his leadership. The son of a former premier, Mukhriz Mahathir, has openly called on him to step down. Malaysian Prime Minister Abdullah Badawi could face a vote of no­confidence in the parliament. With the clouds of controversies showering questions, such as will Malaysia get a new government, will the current government resign or be ousted of power etc. will Abdullah Badawi sail through? Ganesha looks at what is in store for Malaysia, through an analysis based on the Indian Vedic Chart. 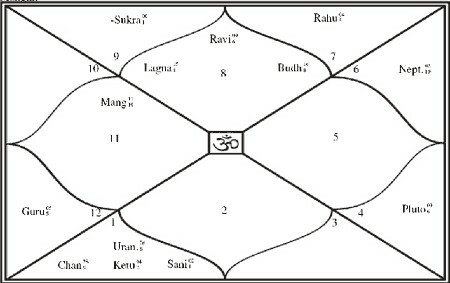 As per Malaysia’s chart, Ganesha observes that Mangal (Mars) becomes the Lord of the seventh house of opposition and becomes the Lord of the twelfth house of hidden enemies. It was debilitated till June 21, 2008, Saturday. It was also in conjunction (though separating) with Ketu a separative planet. This may have instigated the opposition as well as his own party leaders to come out into the open and plan to demand a no confidence motion to oust his government. Shani is the Lord of the tenth house, of political stability, the seat of power, the current government and its leader. Transiting Mangal and Ketu were aspecting natal Shani till 21st June and now only Ketu aspects natal Shani. This was another astrological reason, as Shani (the government) was under the pressure of malefic and evil planets, leading it to a position of being challenged. As per Abdullah’s Sun Chart, Mars is the Lord of his sixth house of open enemies, all his rivals are his open enemies and it was also debilitated and in conjunction with Ketu, till June 21, 2008. This played a major role in the happening of the current crisis. 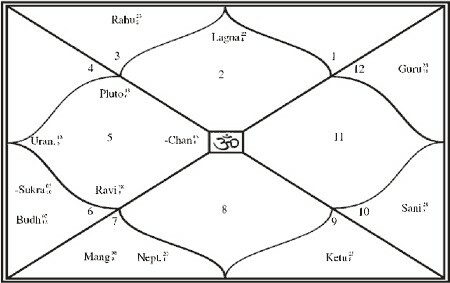 Ganesha observes that Shani is the Lord of the tenth house of Malaysia’s chart. The tenth house and its Lord signify the current leader and the party in power at the center. The position of Shani, in its current transit, is also very interesting. It is interesting because it is weak being placed in enemy sign and is weak as it is opposite to its own house. Thus this is yet another reason that the enemies of the current leader and government could gain enough strength to challenge. But, the interesting factor is that when malefic planets are in opposition to any house or its own house too, they actually fortify that house and provide good results. So the weak and the strong characteristics of the transiting Shani through the fourth house of Malaysia’s chart are, to let the government face instability and then to recoup. The instability was caused by the Mangal Ketu conjunction. Till here, it’s all O.K and clear, but the perennial question is still open. Well Mars (Mangal) has now entered the fourth house of Malaysia’s chart and is slowly moving towards conjunction with the transiting Shani. This makes a good position for Abdullah and the current government as the opposition will not be able to hold unity and someone will rather have a private deal with the current government and support it. This, does not mean the Abdullah Government is out of danger. If it is not alert, then when transiting Sun, the significator of power and authority will come in conjunction with transiting Ketu from, July 17, 2008 to August 16, 2008, he may again have some troubles. As per Abudullah’s Sun chart, Sun is the lord of his tenth house of power and authority and Sun as such is the significator of power and authority. This Sun, in conjunction with transiting Ketu between 17th July and 16th August may cause him a lot of troubles and he may have to lose his position. Ganesha, in summary, finds that the current government as a whole along with its current PM, Abdullah Badawi, may survive initially, at least for one more month. While Abdullah may have to lose power between July 17, 2008 to August 16, 2008, if he is not careful. There are still some said loyalists in his party who may stab him in the back, and pull back their support to him, in this period. In a nutshell, the current government may be in place but Abdullah may probably be ousted by August 16, 2008. Wishing Abdullah all the luck to stay in place.